Pokémon is a media franchise created by video game designer Satoshi Tajiri that centers on fictional creatures called Pokémon. Twenty-one animated adventure films based on the franchise and creatures were produced by the animation studios OLM and Wit Studio and distributed in Japan by Toho, with various studios distributing the films in North America. They were directed by Kunihiko Yuyama and Tetsuo Yajima, and written by Takeshi Shudo, Hideki Sonoda, Atsuhiro Tomioka, Shōji Yonemura, Eiji Umehara, and Aya Takaha. The first Pokémon animated film, Pokémon: The First Movie, was released in Japan in 1998, while the 21st film in the series, Pokémon the Movie: The Power of Us, was first released in 2018. A live-action film, Pokémon: Detective Pikachu, was produced by American studio Legendary Entertainment, directed by Rob Letterman, and written by Letterman and Nicole Perlman. It will be distributed in Japan by Toho, and outside of Japan and China by Warner Bros. It is scheduled for release on May 10, 2019. Nineteen animated films are based on the anime television series Pokémon, and two are set in an alternate continuity to the show. They star the Pokémon trainer Ash Ketchum (voiced by Veronica Taylor and Sarah Natochenny in English, and Rica Matsumoto in Japanese) and his electric mouse partner Pikachu (voiced by Ikue Ōtani). Pokémon: Detective Pikachu is based on the 2016 video game Detective Pikachu and stars Ryan Reynolds as the motion capture role of Detective Pikachu, with Justice Smith and Kathryn Newton as the lead human roles. There are also two animated television specials that were broadcast on TV Tokyo featuring Ash and Ash's Pikachu and ten short animated films. Warner Bros. licensed the first three animated films in North America, and Miramax Films licensed the following four films. Starting with Pokémon: Lucario and the Mystery of Mew, Viz Media is the only North American licensee. Ash, Misty, Brock, and several other Pokémon trainers travel to an island, under the pretense that they will be battling a superior Pokémon trainer, only to discover the genetically engineered Pokémon Mewtwo, created by a scientist for Giovanni of Team Rocket, is there and is planning to take over the world with other cloned Pokémon. Ash, Misty, and Tracey visit Shamouti Island where Ash is roped into a festival honoring Articuno, Zapdos, and Moltres, all of whom are being captured by Lawrence III, a Pokémon Collector who also wants to capture the legendary Pokémon Lugia. Ash, Misty, and Brock try to retrieve Ash's mother from Molly Hale, a lonely little girl whose father has disappeared and is being taken care of by the Pokémon Unown who have created an illusion of the Legendary Pokémon Entei. Ash, Misty, and Brock meet up with Sammy, a boy from 40 years in the past, and the Mythical Pokémon Celebi, who is being hunted down by the evil Iron-Masked Marauder of Team Rocket. Ash, Misty, and Brock's trip to the city of Alto Mare is interrupted when two thieves called Annie and Oakley try to steal the Soul Dew, a crystal that holds the essence of the Legendary Pokémon Latios and Latias, which is also required to keep the city safe. Ash, May, Max, and Brock meet the Mythical Pokémon Jirachi, who wakes up one week every thousand years to grant a wish, and must save it from former Team Magma member Butler. Note: Jirachi is the only mythical Pokémon that Max befriended. Ash, May, Max, and Brock visit a city, only to find it under attack from the extraterrestrial Pokémon Deoxys and the Legendary Pokémon Rayquaza, all centered around a young boy named Tori. Ash, May, Max, and Brock help an ancient Lucario discover the events that led up to his abandonment by a man revered as a hero while saving Pikachu, Meowth, and the Mythical Pokémon Mew from the dying Tree of World's Beginning. A Pokémon Ranger entrusts May with the egg of the Mythical Pokémon Manaphy and with Ash, Brock, and Max keep him safe from the evil pirate Phantom to ensure that Manaphy's homeland is not destroyed. Ash, Dawn, and Brock must figure out a way to save Alamos Town from the space and time warping powers of the two Legendary Pokémon Dialga and Palkia, and clear the name of a Darkrai whose foreboding nature has led the townspeople to believe it is involved in the destruction of the town. Ash, Dawn, and Brock help the Mythical Pokémon Shaymin return to the Gracidea Flower garden to participate in a flower bearing ceremony, all while Giratina and Dialga battle in the Pokémon world and in Giratina's Reverse World realm. Ash, Dawn, and Brock travel to Michina Town, where they discover the Mythical Pokémon Arceus is upset over the town betraying it years ago. When Dialga, Palkia, and Giratina cannot hold it back, the heroes are sent back in time to change the past and present. Ash, Dawn, and Brock arrive in Crown City for the Pokémon Baccer World Cup, but instead discover that a Zoroark under the control of a villain is causing havoc disguised as the Legendary Pokémon Entei, Raikou and Suicune. Zoroark's child Zorua asks for their help to save his mother from the evil Kodai and his Shuppet who seeks out Celebi and its ability to travel through time. Ash, Iris, and Cilan travel to Eindoak Town to participate in a tournament, meeting the Mythical Pokémon Victini on the way. However, they instead discover they must stop Damon, a descendant of Eindoak's ancient People of the Vale, from using the Legendary Pokémon Reshiram to use the Dragon Force to restore the former glory of the Kingdom of Vale, only to realize it is out of control and could destroy the world. Ash, Iris, and Cilan travel to Eindoak Town to participate in a tournament, meeting the Mythical Pokémon Victini on the way. However, they instead discover they must stop Damon, a descendant of Eindoak's ancient People of the Vale, from using the Legendary Pokémon Zekrom to use the Dragon Force to restore the former glory of the Kingdom of Vale, only to realize it is out of control and could destroy the world. Ash, Iris, and Cilan help the Mythical Pokémon Keldeo escape from the Legendary Pokémon Kyurem, who seeks to battle it after freezing its compatriates the Sacred Swordsmen Cobalion, Terrakion, and Virizion. Ash, Iris, and Cilan visit New Tork City to enjoy its Pokémon Hills park, only to come under attack from a group of Genesect angry over losing their home. Ash, Iris, and Cilan are saved by Mewtwo, who wants to help the Genesect but also prevent them from destroying the city. When Ash, Pikachu, and their friends visit a desert city by the sea, they meet the Mythical Pokémon Hoopa, who has the ability to summon things—including people and Pokémon—through its magic rings. After a scary incident, they learn a story about a brave hero who stopped the rampage of a terrifying Pokémon long ago. Now, the threat that has been bottled up for years is in danger of breaking loose again! Can Ash help his new friend overcome the darkness within...or will a dangerous secret erupt into a clash of legends? Ash and his friends encounter the Mythical Pokémon Volcanion after a blast of steam from the sky, and Ash becomes bonded to it by an unknown force. Volcanion, who hates humans, is forced to bring Ash along as it heads to the Azoth Kingdom. Volcanion is in pursuit of the artificial Mythical Pokémon Magearna, hoping to rescue it from a corrupt minister who has stolen it with the intent of using Magearna's mysterious power to conquer the kingdom of machinery. Ash and Volcanion are forced to work together to rescue Magearna. A reboot to the film franchise began with the release of the 20th movie, Pokémon the Movie: I Choose You!, in Japan on July 15, 2017. It was followed by a continuation, Pokémon the Movie: The Power of Us, which was released in Japan on July 13, 2018. CG animated remake of The First Movie: Mewtwo Strikes Back. The launch of the mobile game Pokémon Go in 2016 reignited mainstream interest back into the Pokémon franchise in the Western market since its initial peak in the early 2000s. In 2016, various Hollywood film companies approached The Pokémon Company to gain film rights. Eventually, Legendary Entertainment struck a deal to produce a live-action adaptation of the 2016 video game Detective Pikachu called Pokémon: Detective Pikachu, the first official live-action Pokémon film. In January 2019, We Got This Covered reported the development of a live-action spin-off film featuring Mewtwo, and a film adaptation of the 1996 video games Pokémon Red and Blue. Sources close to We Got This Covered revealed in January 2019 that Legendary "would like nothing more than to bring a live-action Ash Ketchum to the screen". Also in January 2019, The Hollywood Reporter reported Legendary has begun development on a sequel to Pokémon: Detective Pikachu. These special films, which run longer than the normal half-hour and are not usually separated into more than one episode in either the original or the dub, are often considered TV Pokémon movies, not counting towards the running total. They never appear in theaters, but are instead broadcast on the same networks that the regular anime is broadcast for their premieres. Though they may air around the same time as other episodes of the anime, usually in the anime's normal timeslot, they are not assigned episode numbers. Mewtwo, who has been hiding out in the Johto region since last he was seen, has been located by Giovanni. Now the Rocket Boss wants to recapture the powerful Pokémon to again use him for his own purposes. Ash, May, Max, and Brock meet up with Misty and Professor Oak to investigate Dr. Yung's new Mirage Pokémon system. But when the mysterious Mirage Master appears with a Mirage Mewtwo, Ash is forced to fight him to stop his plans to dominate the world with his Mirage Pokémon. Pikachu shorts are anime short films that are commonly shown at the start of animated theatrical films based on Pokémon, but have also been expanded to fulfill other purposes. When Ash Ketchum and his friends stumble upon a Pokémon-only vacation resort, they decide to let their Pokémon have a day of fun and relaxation and let all their Pokémon out as the trainers go relax on their own. Ash, Misty, and Tracey's Pokémon sneak away on vacation and find an area with a nice waterfall and a huge tree. Suddenly, a storm kicks up. While in a city, Pikachu wanders off and meets a pair of mischievous Pichu brothers. Pikachu and Ash and Misty's other Pokémon play hide-and-seek in a mansion and its gardens. Pikachu reunites with the Pichu brothers, and they all have a campout with Ash and Misty's other Pokémon. Pikachu and Ash, May, and Brock's other Pokémon have a dance with Meowth. Pikachu, Pansage, Oshawott, Snivy, their trainers' Pokémon and the Pokémon from other regions help Meloetta retrieve a tree's special berries. Pikachu and friends meet an Eevee and its evolved brothers and sisters, including the new Pokémon Sylveon. Pikachu and the other Pokémon of Ash and his friends meet a Klefki who has keys that open up portals to other worlds. ^ Erao, Matthew (January 24, 2018). "Detective Pikachu Live-Action Movie Officially Begins Filming". Screen Rant. Retrieved January 18, 2019. ^ McNary, Dave (July 25, 2018). "Ryan Reynolds' 'Detective Pikachu' Moves From Universal to Warner Bros". Variety. Retrieved September 6, 2018. ^ Kit, Borys (December 11, 2017). "Ryan Reynolds' 'Detective Pikachu' Gets 2019 Release Date". The Hollywood Reporter. Retrieved September 6, 2018. ^ Kit, Borys; Ford, Rebecca (December 6, 2017). "Ryan Reynolds to Star in Pokemon Movie 'Detective Pikachu' (Exclusive)". The Hollywood Reporter. Retrieved September 6, 2018. ^ Kit, Borys (November 29, 2017). "Pokemon Movie Finds Its Female Lead With 'Big Little Lies' Actress". The Hollywood Reporter. Retrieved September 6, 2018. ^ Brian. "Pokémon the Movie 2018 to debut July 13 in Japan, first teaser". Nintendo Everything. Retrieved 10 December 2017. 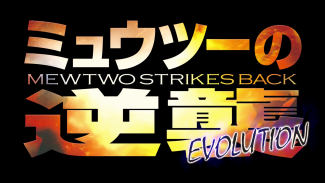 ^ "Pokémon Take On a New Dimension in "Mewtwo Strikes Back Evolution" Trailer". Crunchyroll. 1 March 2019. Retrieved 1 March 2019. ^ Fleming Jr, Mike (July 20, 2016). "Legendary Catches 'Pokemon' Live-Action Movie Rights Deal". Deadline Hollywood. Retrieved September 6, 2018. ^ Joseph, Matt (January 14, 2019). "Detective Pikachu Spinoff Already In Development At Warner Bros". We Got This Covered. Retrieved January 27, 2019. ^ James, David (January 19, 2019). "Legendary Developing Third Live-Action Pokémon Movie Based On Original Games". We Got This Covered. Retrieved January 27, 2019. ^ James, David (January 22, 2019). "Legendary Planning Fourth Live-Action Pokémon Movie Featuring Ash Ketchum". We Got This Covered. Retrieved January 27, 2019. ^ Kit, Borys (January 25, 2019). "'Detective Pikachu' Sequel in the Works With '22 Jump Street' Writer (Exclusive)". The Hollywood Reporter. Retrieved January 25, 2019. ^ a b "歴代興収ベスト100" [All-time box office top 100] (in Japanese). Kogyo Tsushinsha. Archived from the original on 2017-08-08. Retrieved 4 February 2018. ^ a b c d e "Animation - Anime Movies at the Box Office". Box Office Mojo. Retrieved 13 February 2019. ^ "Pokemon: The First Movie (1999)". JP's Box-Office. Retrieved 13 February 2019. ^ "Currency converter in the past with official exchange rates from 1953". fxtop.com. July 18, 1998. Retrieved February 13, 2019. ^ "Pokemon 2000 (2000) - Financial Information". The Numbers. Retrieved 14 February 2019. ^ "Currency converter in the past with official exchange rates from 1953". fxtop.com. July 17, 1999. Retrieved February 13, 2019. ^ "2000年（平成12年）興収10億円以上番組" (PDF). Eiren. Motion Picture Producers Association of Japan. Retrieved 14 February 2019. ^ "Pokemon 3: The Movie (2001) - Financial Information". The Numbers. Retrieved 14 February 2019. ^ "Official exchange rate (LCU per US$, period average)". World Bank. 2000. Retrieved 14 February 2019. ^ a b c "過去興行収入上位作品" [Past Box Office Top Works]. Eiren. Motion Picture Producers Association of Japan. Retrieved 17 February 2019. ^ "Netherlands Box Office, July 24–30, 2003". Box Office Mojo. Retrieved 14 February 2019. ^ "Official exchange rate (LCU per US$, period average)". World Bank. 2003. Retrieved 13 February 2019. ^ a b c d e f g h i "Movies With Box Office Gross Receiopts Exceeding 1 Billion Yen". Eiren. Motion Picture Producers Association of Japan. Retrieved 17 February 2019. ^ "South Korea Box Office, May 9–11, 2008". Box Office Mojo. Retrieved 13 February 2019. ^ "Official exchange rate (LCU per US$, period average)". World Bank. 2006. Retrieved 13 February 2019. ^ "Gekijōban Poketto Monsutā Daiyamondo to Pāru Diaruga Tai Parukia Tai Dākurai (Pokémon: Diamond and Pearl) (2007)". Box Office Mojo. Retrieved 13 February 2019. ^ "Pokémon: Diamond Pearl Gen-ei no hasha zoroark (2010)". Box Office Mojo. Retrieved 13 February 2019. ^ "South Korea Box Office, January 6–8, 2012". Box Office Mojo. Retrieved 13 February 2019. ^ "South Korea Box Office, December 28–30, 2012". Box Office Mojo. Retrieved 13 February 2019. ^ "2013". Eiren. Motion Picture Producers Association of Japan. Retrieved 13 February 2019. ^ "2014". Eiren. Motion Picture Producers Association of Japan. Retrieved 13 February 2019. ^ "2015". Eiren. Motion Picture Producers Association of Japan. Retrieved 13 February 2019. ^ "Pokemon The Movie: Hoopa And The Clash Of Ages - Financial Information Australia". The Numbers. Retrieved 13 February 2019. ^ "神奇寶貝XY劇場版：光環的超魔神胡霸-票房收入-日本偶像劇場". Dorama.info. Retrieved 14 February 2019. ^ "2016". Eiren. Motion Picture Producers Association of Japan. Retrieved 13 February 2019. ^ "China Box Office, December 1–3, 2017". Box Office Mojo. Retrieved 14 February 2019. ^ "Pokemon the Movie: Volcanion and the Mechanical Marvel (2017)". EntGroup. Retrieved 14 February 2019. ^ "2017". Eiren. Motion Picture Producers Association of Japan. Retrieved 13 February 2019. ^ "Pokemon the Movie: I Choose You! (2017)". Box Office Mojo. Retrieved 13 February 2019. ^ "精灵宝可梦：就决定是你了！(神奇宝贝剧场版 就决定是你了！)". Dorama.info. Retrieved 14 February 2019. ^ "Gekijouban Poketto monsutâ: Kimi ni kimeta! (2017) - International". The Numbers. Retrieved 13 February 2019. ^ "Pokemon the Movie: I Choose You! (2017) - International Box Office Results". Box Office Mojo. Retrieved 13 February 2019. ^ "2018". Eiren. Motion Picture Producers Association of Japan. Retrieved 13 February 2019. ^ "Pokemon the Movie: The Power of Us (2018)". Box Office Mojo. Retrieved 13 February 2019. ^ "Pokemon the Movie: The Power Of Us". EntGroup. Retrieved 14 February 2019. ^ "精靈寶可夢劇場版：我們的故事-票房收入-日本偶像劇場". Dorama.info. Retrieved 14 February 2019. ^ "Pokemon the Movie: The Power of Us". Box Office Mojo. Retrieved 13 February 2019. "Pokémon Movies – US official website". "Pokémon Movies – JP official website" (in Japanese). This page was last edited on 17 April 2019, at 08:07 (UTC).